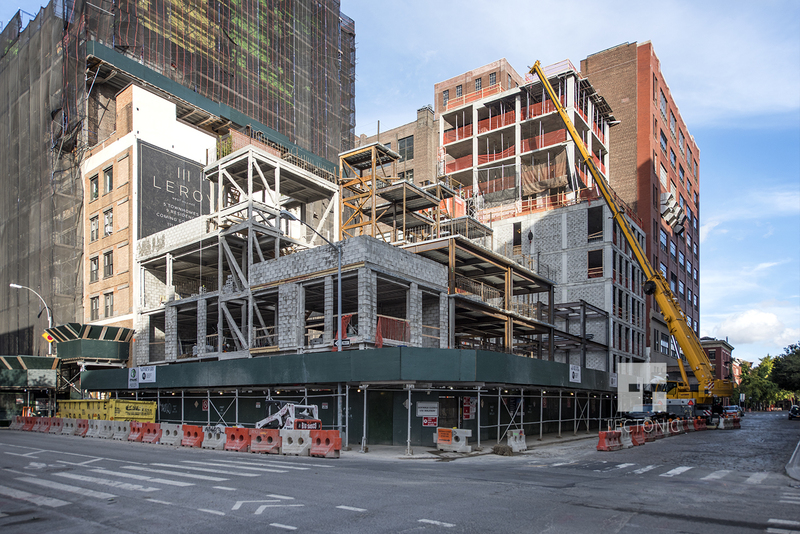 Work on 111 Leroy Street in the West Village is making steady progress. 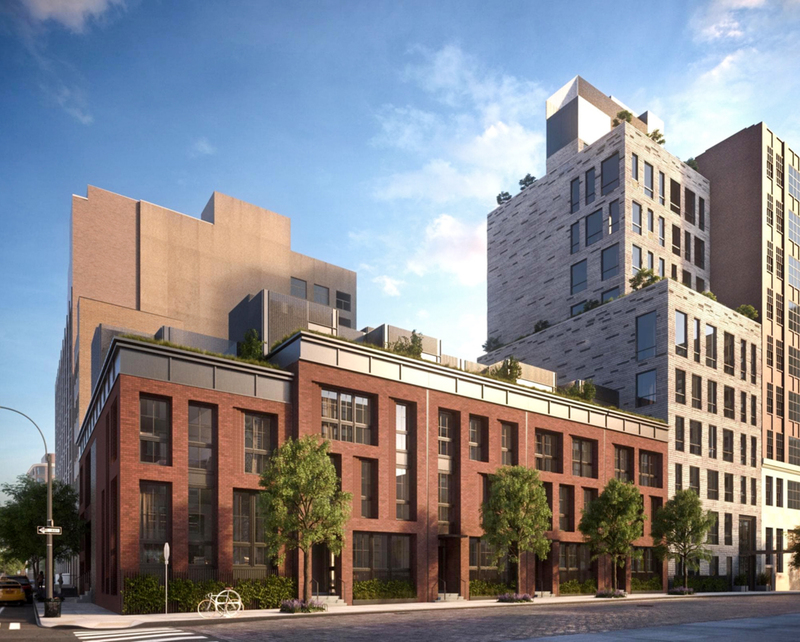 The upcoming 10-story project, which is located between Hudson Street and Greenwich Street, is being designed by Workshop APD and developed by Property Markets Group. There will be nine full-floor condominiums, called The Residences, and five adjacent single-family townhomes, called The Houses. Douglas Elliman is in charge of marketing and sales of the 14 residential units. 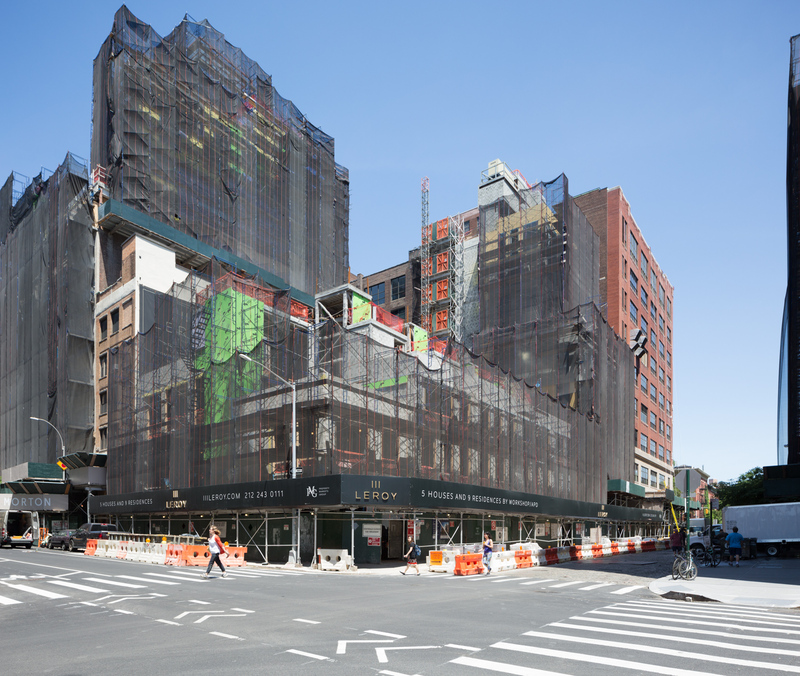 The sun is shining brightly on the brand new façade of 111 Leroy Street. Major progress has been made since YIMBY last looked, as the townhouse and condo complex finally have their skin. The project is bringing nine condos and five modern townhouses to the area. 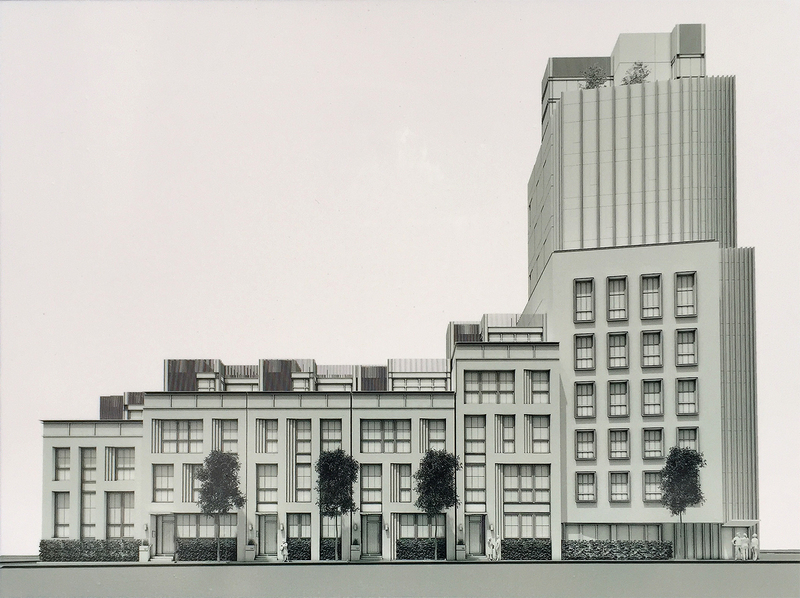 This will further expand the West Village’s classic low-rise and high-end housing closer to the water. Workshop/APD Architect is responsible for the design. The redevelopment of the southwest corner of the West Village by the Hudson River is often overlooked, but that part of the neighborhood is about to get a healthy dose of modernization. One project now under construction is 111 Leroy Street, which will create nine apartments and five townhouses. Work has progressed significantly since our last look, and façade installation appears imminent. Property Markets Group is responsible for the development. At 111 Leroy Street, in the West Village, construction has been underway since YIMBY published images of the lot completely cleared, back in January. Now, Tectonic has fresh photos revealing significant progress. The project consists of the major ten-story, nine-unit building at 111 Leroy Street, with five single-family townhouses at 115, 117, 119, 121 Leroy Street, and 621 Greenwich Street. Excavation work has begun on the site of a 17-unit residential development at 111 Leroy Street, located on the corner of Greenwich Street in the West Village. The project will consist of a 10-story, 12-unit mixed-use building at 111 Leroy Street, in addition to five single-family townhouses at 115-121 Leroy Street and 621 Greenwich Street.